More Product InfoOur 6 foot high quality DB25 Male to Centronics 36 (CN36) Male bidirectional parallel printer cable features molded connectors and gold plated contacts for superior corrosion resistance ensuring a solid connection for the life of the cable. The cable sports 25 conductors. 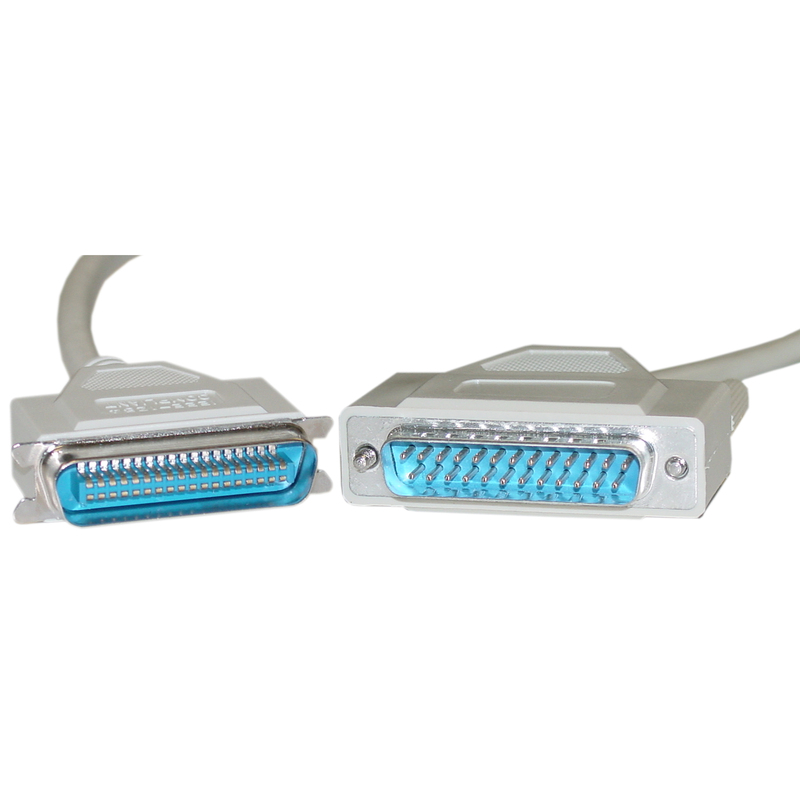 This cable is ideal for connecting 25 pin bidirectional printer ports on laptops, computers and expansion/interface cards to printers and devices have a 36 pin Centronics bidirectional parallel port. This male to male serial cable is solidly constructed, UL rated and RoHS Compliant. There are 3 basic types of Printer Connectors; Type A, Type B, and Type C. Type A is a DB25. Type B is a CN36. Type C is an HPCN36.